Is My Backyard Suitable For A Pool? Okay, so I know I want a pool but is my backyard actually suitable? So now you know that you want a pool that looks after itself and can be easily seen from the kitchen window ….. Is your backyard suitable? In most cases, your site will be absolutely fine which is why we predominately advertise a standard pool deal around $24,990. A standard site is flat. You see a sloping block is going to require one of two things – an excavator to level the block and remove the soil or a form working crew to raise the pool structurally out of ground. A laser level is a good way to check the site slope especially if you have trouble hanging up pictures at home on the wall…. A standard site is clay soil. Sand, fill and rock will add to the construction cost significantly. In most cases, if the entire pool is to be built in sand/rock this can add $6000 to $15,000. Almost everything is possible to build, and we’ve pretty much done it all including waterfront properties accessible only by barge.. but the reality of budget can only be determined by you. Once you understand your site requirements needed to actually BUILD the pool structure then you can start to think about the finishes and fancy stuff you want. Heating, interior, lighting and sanitisation, maybe a slippery dip or feature wall, spa, swim jets, waterline tiles, automated cleaning, Wi-Fi access to control your equipment, outdoor kitchen, glass fencing….. Does it ever end? At Blue Haven Pools we keep your pool build costs down to the lowest possible so you can budget well for your finishing touches and landscaping. Council approval or CDC compliant? Council approval takes forever and a day…. and CDC approvals can be done in as little as 7 days, but the average turnaround is 21 days. But on a serious note – Local Government approvals can get costly and tedious if prompted for reports and special engineering. Your pool builder won’t possibly know all the ins and outs of council’s regulations. They differ from council to council and even from street to street and lot to lot…. So do your own investigating and always check where the sewer line is…. As this may need to be encased or steered clear of. 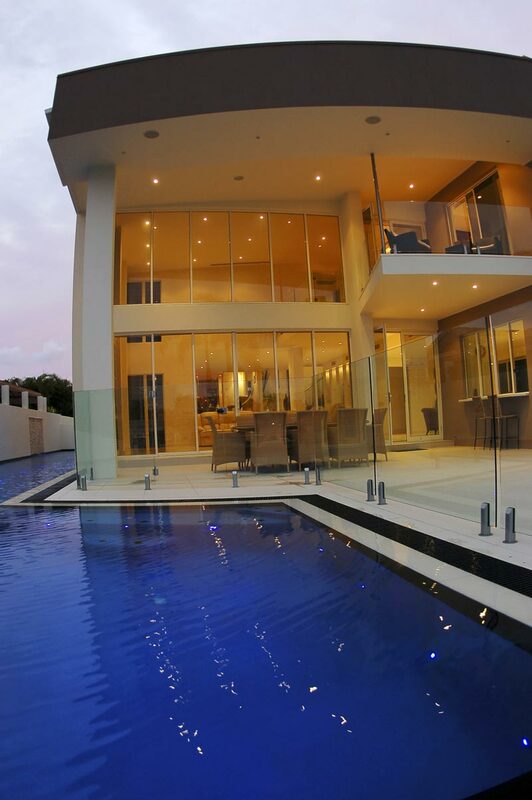 Blue Haven Pools do not charge a deposit but do obtain funds for the pre-construction process which includes engineering, plan drafting, approval fees, Sydney water diagrams, 149 certificates, administration and design fees. If approval is not granted those fees are non-refundable. I’ve read numerous blogs where people complain about “not refunding deposit and nothing has been done” …. Or “I hope the money went to a good cause in the end” Or “they took my money and couldn’t build my pool” Or my favourite one “I’ve been waiting 6 months and my pool hasn’t even started”.. Well I’m here to tell you that no matter who you are in this world, local government approval can be a complex process which varies dramatically. Approval can be denied from something as simple as a neighbour objecting, even when you ticked every other box. If you have a difficult site or feel like the pool may exceed built upon area to landscaping build up on ratios – it’s always a good idea to meet with your local town planner at the council and see what’s possible. Blue Haven Pools will help you obtain approval, where possible, at the lowest cost by providing a dedicated group of surveyors, engineers, water technicians, landscapers, arborists and planning specialist. If you enter into a formal building contract with Blue Haven pools, the assessment fee is taken off the contract price. If you chose to simply obtain the diagrams and reports from us, they are 100% your property to use with any other builder. To obtain a tailored Property and Feasibility Report email Remonda.m@bluehaven.com.au. Once payment is made, services are provided within 3 days. Now that’s service!